Qantas has announced that it is introducing a new route to be operated by the Dreamliner, with flights between Melbourne and San Francisco due to begin by late 2018. 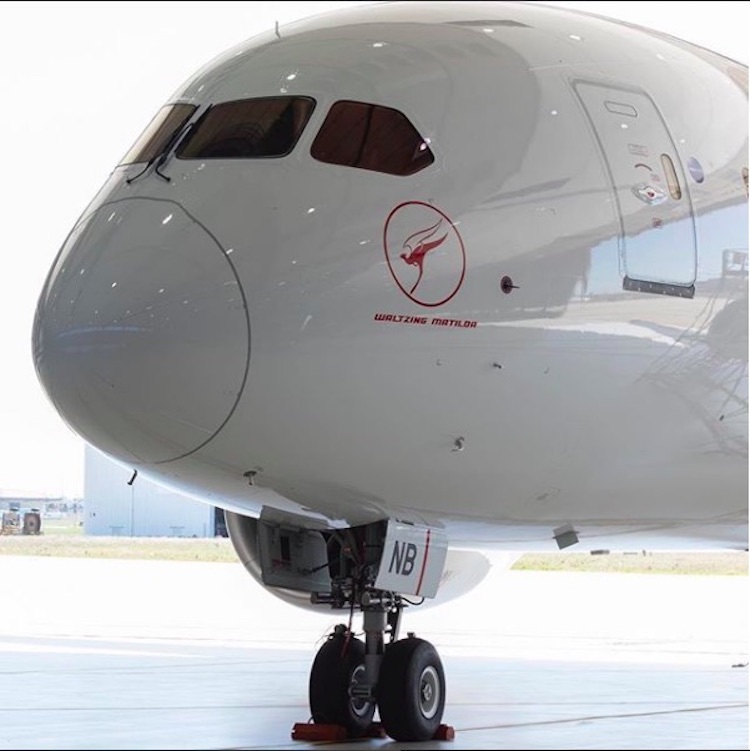 The route announcement came as Qantas revealed that its second Boeing 787-9 Dreamliner aircraft has been named Waltzing Matilda, ahead of the type’s first scheduled international flight to Los Angeles on Friday. The new route will be on sale from early next year. Capacity between Melbourne and the US will be rebalanced, Qantas stated, meaning that the Dreamliner will fly to Los Angeles on some days of the week and to San Francisco on other days. “A significant number of our Melbourne passengers flying to Los Angeles already connect on to San Francisco,” said Qantas International CEO Alison Webster. 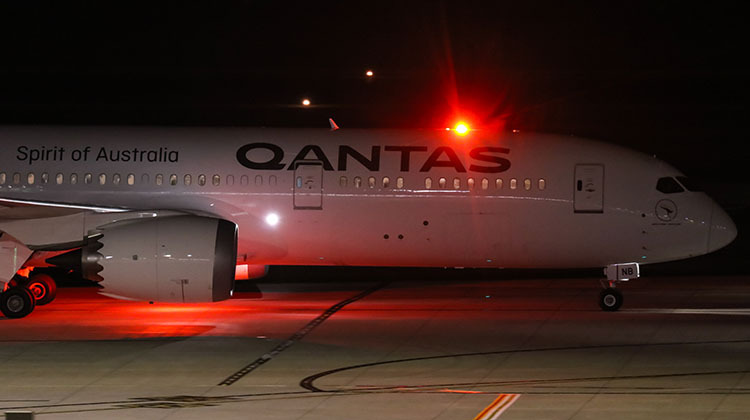 The delivery of the airline’s second 787-9, VH-ZNB, earlier this week, has allowed Qantas to begin six times weekly Melbourne-LA services with the aircraft. The first 787-operated Melboune-LAX flight, QF95, was due to depart Melbourne at 1425 on Friday. “The Melbourne-Los Angeles flight was the first international service that we put our very first Airbus A380 on in 2008, so there’s a nice symmetry with this being the first for our Dreamliner as well,” said Webster. Does anyone know why they are having four a week to SFO? Is there more demand for SFO, or isn’t there the demand for two daily services from MEL to LAX? I’m just curious. Prob not the demand Virgin now does 5 LAX per week 777, Air Canada 787 to Van less people for a double daily flight that only was added when Virgin pull off the route 2 years ago, I think the move makes sense. I would say it’s because there isn’t enough aircraft in the fleet at the moment to operate double LAX daily and the SFO service. I would guess they will consider upping frequency when the fleet can handle it. I’m guessing there isnt the demand for 2 daily services, launching a route to SFO would be more profitable for Qantas after all, San Fran is a popular destination for Aussies. How does the 787-9 compete for capacity wise with the A380 or 747-400ER? Why would they reduce capacity? Just don’t get why they’d rather fly a 236 seat aircraft compared to a 484 seat A380 or 364 seat 747-400. Sad to see a reduction in capacity. I’m referring to Qantas taking an A380 from the Aus to US route and putting it on a Aus-China route. Qantas is also replacing to my understanding the B747-400 from Brisbane to LA which is full all the time or close to it again to my understanding. Mel to SFO would be awesome. Qantas might launch 2 new routes from Brisbane when we get 4 787s but I hope they keep the 747-400 for the BNE-LAX route until Qantas is able to put the 777-8 into service. @Corey, your comment about hoping Qantas keeps the B747-400 on the BNE-LAX route “until Qantas is able to put the 777-8 into service” piqued my attention! Did I miss the news that Qantas has ordered the B777-8? Interested to know more about the deal. I believe that the first two 787’s to operate from BNE are going to replace two 747’s on the BNE to LAX to JFK route.. This will be a reduction in capacity. The third and fourth are going to operate a new route to the US from BNE. This route is yet to be announced. When did Qantas announce they were taking an A380 off a US route and using it on a China route? The A380 released from the Mel – Dub – Lon route will fly daily to Singapore and another A380 will operate daily Syd – Sin starting in March until the QF1/2 reverts to operating via Singapore. As David says, two of the B789 to be based in Brisbane will replace the B744 service Bne – Lax – JFK. This has already been announced by Qantas although not yet reflected in the timetable. From the current delivery schedule, ZNE to be delivered on 12 Jul and ZNF on 24 Aug. In a previous article about the Qantas B789, a contributor suggested that Qantas was looking at a Bne – DFW – Mel and vice versa route for the last two. When the first two B789 arrive in Brisbane, this will allow Qantas to retire another 2 B744. That would leave another two to leave the fleet by the end of 2018 to bring the B744 fleet down to 6 B744ER. I suspect SFO will become daily when pax with onward connections find out there is an alternative to the congested, unfriendly traffic jam called LAX. The MEL-LAX/MEL-SFO split got me thinking that it seems highly likely the second BNE Dreamliner will split 2 routes – probably the only way SEA would make sense and ORD too since DFW is more direct for msot US destinations. Does anyone know if there is likely to be a service to DFW from MEL anytime soon? There was mention that it could be possible to split the as-yet unannounced service from BNE and share it with MEL too? Also, why doesn’t QF launch service to ICN from MEL. This is a gaping hole that someone needs to fill since KE pulled out several years ago. KE and OZ seem to be more focussed on their European and North American routes? Word around town is that Fiji Airs demand out of sfo has exceeded all expectations & they want to crank up to more flights per week than current 2(3in peak season). FJ have another A332 arriving mid 2018 & sounds like apart from 3days a week to Narita, sfo might see more FJ flights. Strangely there are virtually no Mel nan daylight flights. If there were FJ could say they fly Mel sfo direct(via nan) with same aircraft can be called direct. Makes sense. Around sfo is one of the wealthiest parts of U.S.
FJ are always cheaper than poor old QF & they are a much better airline than QF.